When we bought the lodge we bought it lock, stock and barrel. This included all the furniture, curtains, wine, trophy heads and various other surprises hidden in the cupboards. 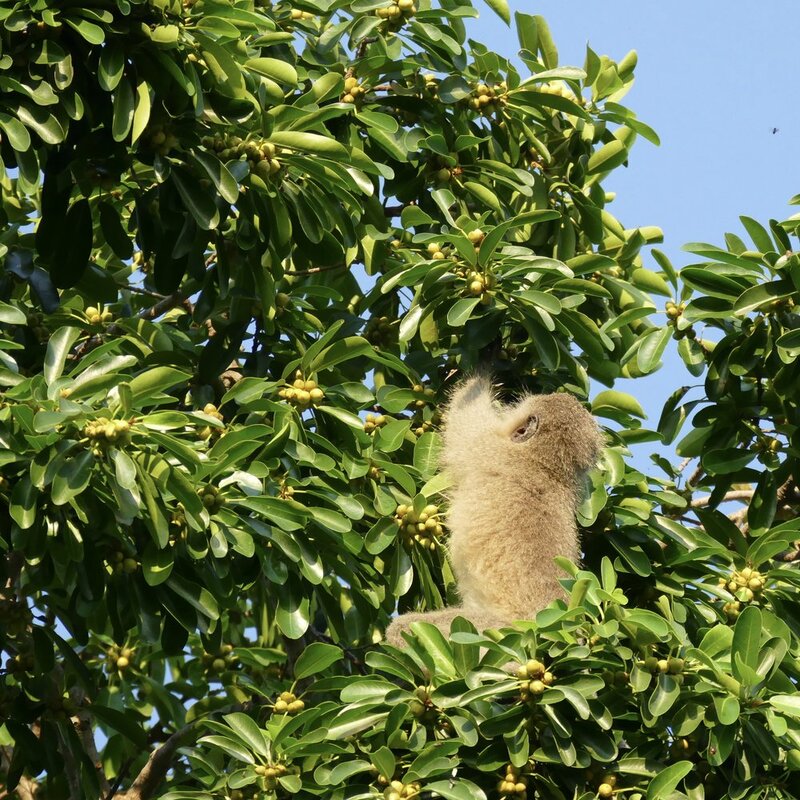 Also ‘included’ was our ‘bush wake up service’ consisting of a troop of vervet monkeys, who sleep in the trees around the lodge. At the moment our monkeys are in hog heaven. Not only are the guava trees starting to bear fruit (none for us as the monkeys eat it before it is ripe! ), but our wild fig tree on the front lawn is also full of figs for them to eat. So they spend the first few hours of the day stuffing their faces with figs, and a couple of hours in the afternoon as well.